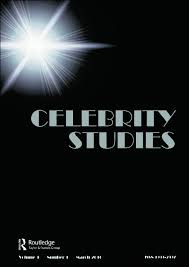 Registration for the 4th International Celebrity Studies Journal Conference is now open! Please follow the link below to be directed to the online registration and payment module. Note that there is a special early bird fee if you sign up and finalize payment before March 31. Registration is anyway possible until May 12. The conference fee does not include the gala dinner that you will be able to book through the same website after registration. Finally, we would like to remind to the participants that the conference fee is not refundable.